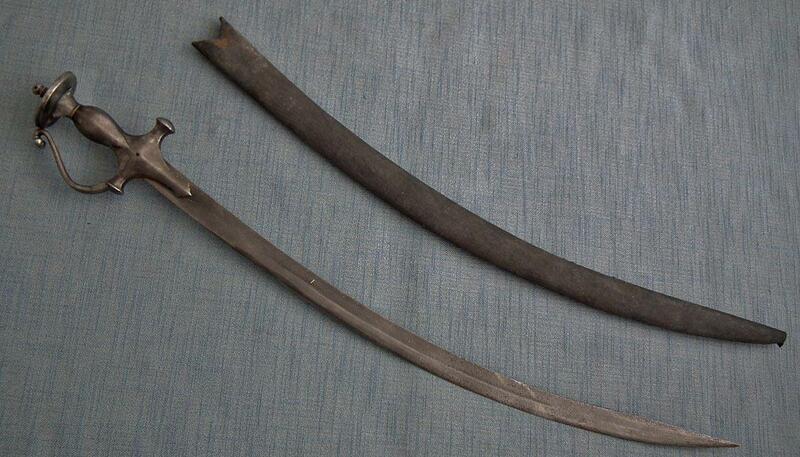 Antique Indo - Persian Islamic sword, Shamshir, Indian Talwar - Tulwar 18th century Mughal India. 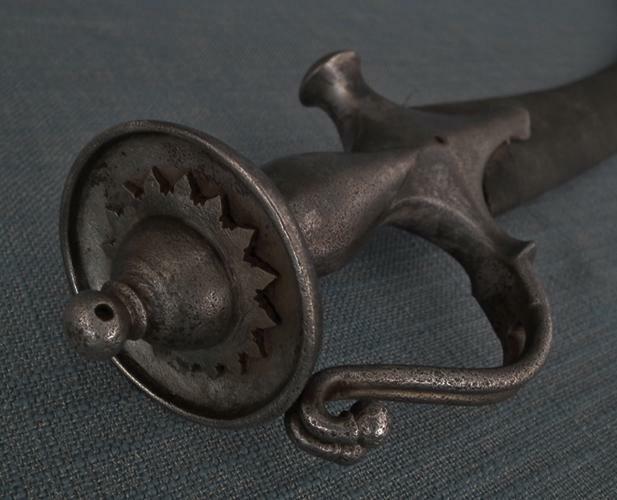 DETAILS: A massive iron Delhishahi hilt with its circular disc pommel (katori) decorated with raised finely chiseled sun form rosette surmounted by domed finial, pierced with a small hole on the middle to thread a silk suspension string through, which wrapped around the wrist to prevent loss in combat. 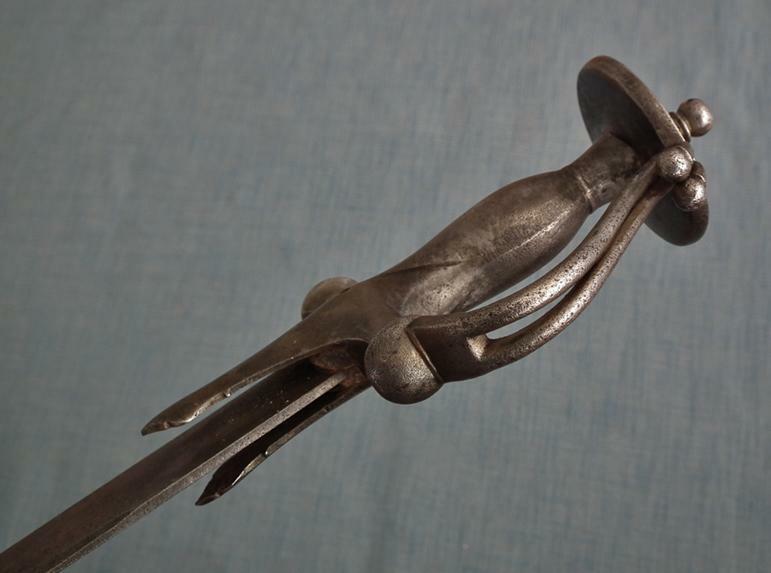 A robust cross-guard with broad qullion block (chowk) extended to pair of short stubby quillons with swollen terminals and shaped langets, extending down the sides, with rare form recurved double bar knuckle bow with a bud – shaped terminals. Mounted with hand forged slightly curved single edged steel blade with a false back edge and cut on the middle with short narrow fuller. 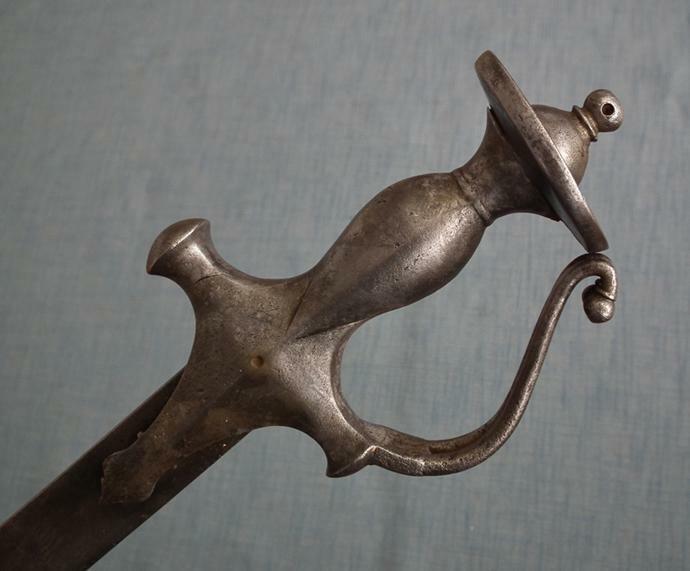 The sharp sword edge stops about 4 inches short of the hilt forming a blunt ricasso “khazana”, allows the index finger to wrap around in front of the quillon as desired. With its wood scabbard bound in black fabric. CONDITION: Signs of usage and wear, steel blade slightly pitted particularly in the lower part. 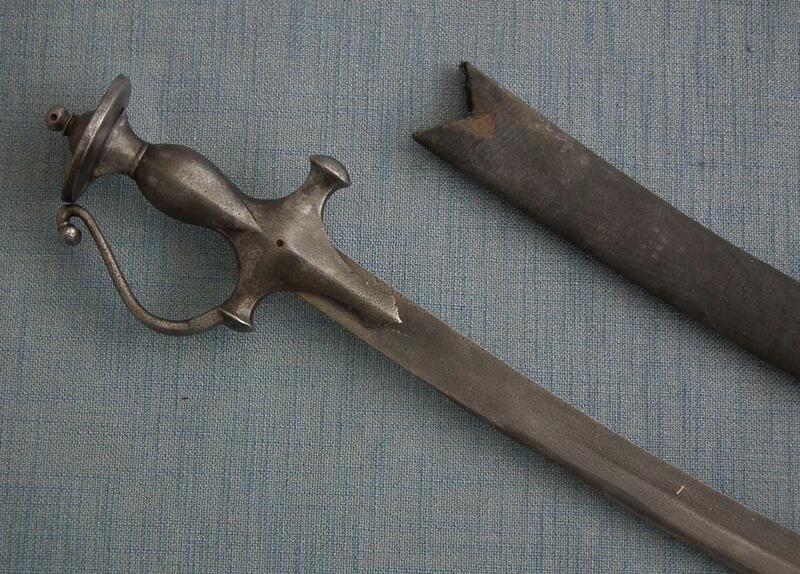 The wooden scabbard is a late 19th or early 20th century addition as is common with 17th-18th century talwars.